Still feeling better today, I hope, Ann? A good birthday anger-release should last a good, long time. Even the adult-style tantrum can be described as “getting it off my chest.” That means you lighten your heart. Great birthday present from the listeners, your ex, his girlfriend and your son. I like the flowers, Bear cartoon and blogging slippers you received, too, Ann. It appears you got your fuss after all. Thanks for the present of this comment, Mark which was — as always — very helpful. By the way, I added another present to the post since you read it: another card I got yesterday that helped lighten my heart (if you want to check that out, too). Thank you for the check-back alert, Ann. 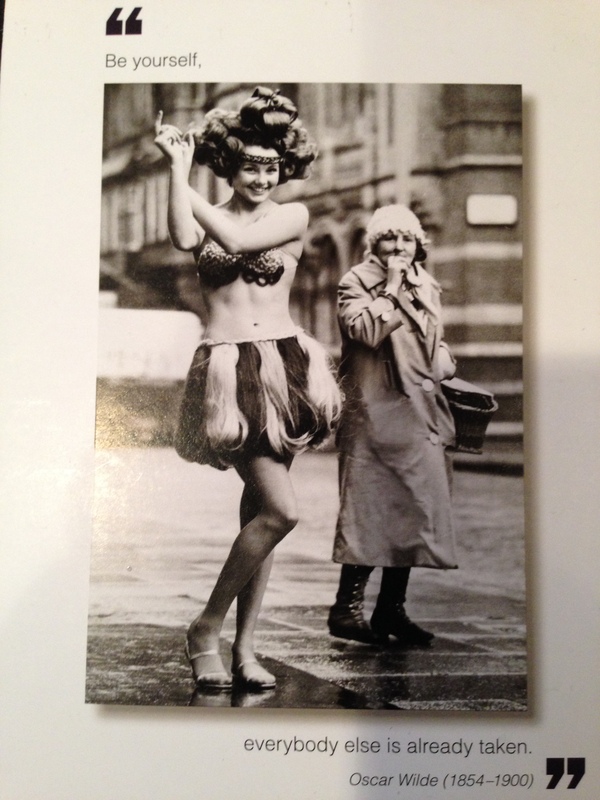 I thoroughly enjoy both women being themselves in your added present! As both of us are from the same generation, I know we both were taught it is not OK to express anger. Especially because we are women. I could go on and write a book here, but I won’t. I am glad you vented and you did it appropriately. Even using the “I statements” can put others on the defensive, and tell you that you have no right to feel that way because …… HURRUMPH!!!! I have every right to my feelings, as well as you, and NOT to express those feelings, even if they are anger, is NOT healthy. In my humble opinion, anger is the cause of many dis-eases. Depression is anger turned inward, for one. Yet, this is my dilemma. Where can one go in this world, where one can just yell, holler, scream to get the pent up stress OUT without someone calling the police and you ending up in a straight jacket? Unfortunately, if you don’t live way out in the boonies somewhere, with no one else around, there is not too many places where one can safely yell their silly head off. Towels come in handy. Close the bathroom door and scream bloody murder into a towel. Not as effective as if one was actually standing someplace and having a good old scream. But, it is better then nothing. Turning to exercise helps a great deal to keep the stress (anger) under control. Not always, but it does help. Expectations always set us up for disappointments, yet even knowing this, we still do it. (((HUGS))) I’m happy that you got cool slippers and beautiful flowers. And I LOVED the pic of the ballons as if Life itself came along to shout a huge Happy Birthday to you, Ann! Thank you for another fabulous, helpful comment, Amy! I always learn from reading what you have to say. I am completely happy with you using that term, too, Susan. I’m assuming that Babsje is fine with it, also. Thanks for the birthday wishes and for the rest of this kind comment. It WAS a great birthday. I’m glad that came through in the post. Thanks for the kind wishes and for visiting today. Thank you for the birthday wishes, Roxy and Tigerlino! Always nice to see you here. Happy Belated birthday and fabulous new blogging slippers! They are quite fabulous, aren’t they? Thank you for the visit and the comment. I think that’s a really accurate and helpful description of what I did yesterday — working on accepting my feelings rather than fighting them. And it IS hard to do, isn’t it? I’m glad you found the post helpful. I know I found your comment very helpful, too. Love the slippers. Shine on, Ann! I will do my best. Thank you for this shining comment! ACtually on your birthday you ret away with a lot more thatn on other days, and it did bring you release. 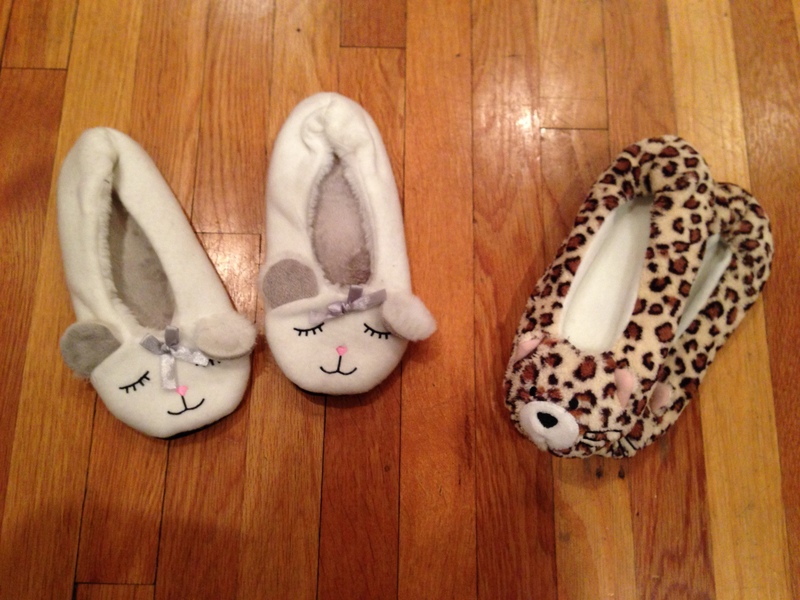 I do love those slippers, I can imagine you now while typing having these on. …and always warm feet! Yes, Ute! Now even if I have trouble keeping track of my socks, I have these slippers, right there at my blogging station to keep me warm. It’s also easy to imagine you, typing, sending out warmth into the blogosphere. I am smiling, Mark. Thank you so much!! Happy birthday! :)…great post too! 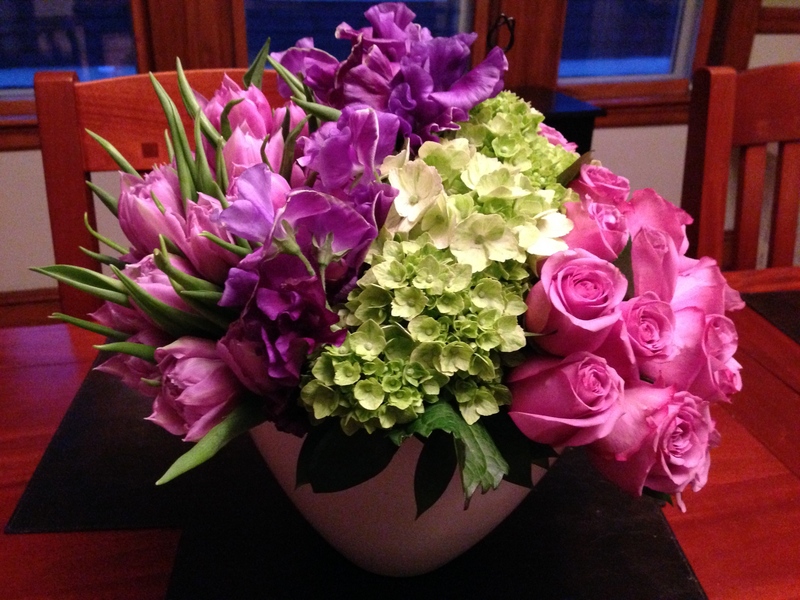 Thank you, Reading Girl … for reading and complimenting, too! Glad your birthday proved to be a fun one! Thank you for your kind comment, Navigator! You are welcome, Madam Ann. No need to apologize, Robin. It’s so great to see you here. Thanks for the kind, helpful, and valuable comment (not a dollar short!). Hmmm. On second thought, studmuffin may trump inamorato! I am NOT rewriting this post, Babsje. But great to see you, and thanks for the comment. 🙂 BTW, I like how your birthday post worked out, great presents you gave yourself, especially your gift of anger. When I had my 50th, everyone forgot. I waited until about 11pm that night and then I realized that there wasn’t going to be any big surprise from my then SO or daughter. I didn’t say a word to anyone, and actually had kep myself wonderfully entertained all day. Two days later, though, they had figured it out and I got the birthday gift f a lifetime: 3 banker’s boxes full of vinyl LPs, from the mid-60s through mid-80s. It was like being given back the years of my youth in music! Wow. What a great story, in so many ways. Thanks for all you’ve given us here. You’re welcome. And thanks much for your own writings!! Babsje. I now officially love you forever. Let me count the ways I adore this comment: (1) After I wrote the boyfriend post, I went looking for this clip (2) I couldn’t find it (3) I love Mel Brooks (4) I’ve loved this line from “Young Frankenstein” for decades, and (5) you rock! Aw shucks, thanks. The feeling is mutual, you rock too! Happy birthday. I like what you said about refraining from ‘you’ accusations and just using ‘I’ in an altercation. I also like your humour! Thanks so much. I’m glad you liked what you liked! 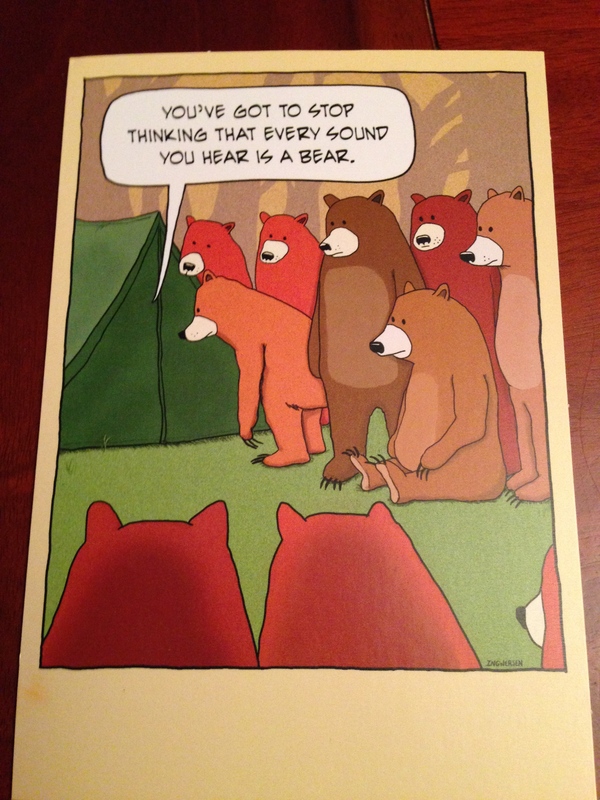 I love the birthday card with the bears. That’s so me inside the tent. I’m terrified of bears and haven’t gone camping in over 30 years after thinking that a bear was outside our tent. I have some stories about bears and camping which I’ll probably share some day soon. I’m glad you love the card! Thanks for stopping by. I love, love love this post — what a gift — to be able to ask for what you want, and receive it — especially when the gift is about being exactly the way you are — and accepting yourself as is! How perfect. and that photo of the heart tree….. beautiful! And thank you for this inspiring, accepting, and beautiful comment, Lovely Louise. Happy Birthday! I love that tree of hearts. I want one! Me, too! 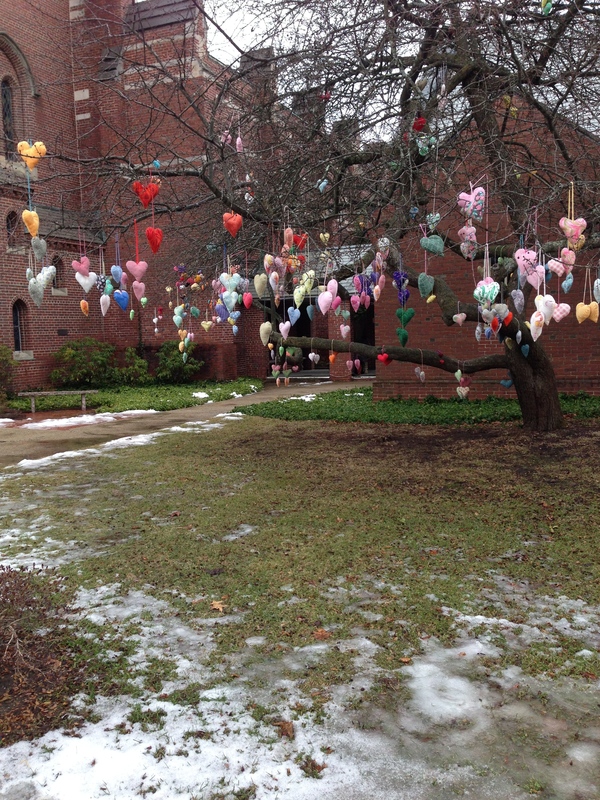 I still don’t know the story behind all those beautiful hearts, hanging from that tree. Maybe I’ll investigate next weekend. I like this post and allowing yourself to get angry. I have done that recently as well, although not written about it yet. It was quite therapeutic and I realisedthat normally I do not let myself get angry and it bottles up inside of me and makes me unwell in an emotional way. Good for you and what a fantastic birthday present to yourself. Good for you, Elizabeth, and what a fantastic comment you wrote here. Thanks so much for your wisdom. Very grown up tantrum! Kudos! Thanks for this congratulatory comment, which helps me realize that it IS quite an accomplishment to have a grown up tantrum. In case I don’t tell you enough, I always appreciate your thoughts.